Singaporean Radish / "Carrot" Cake (???) Recipe. 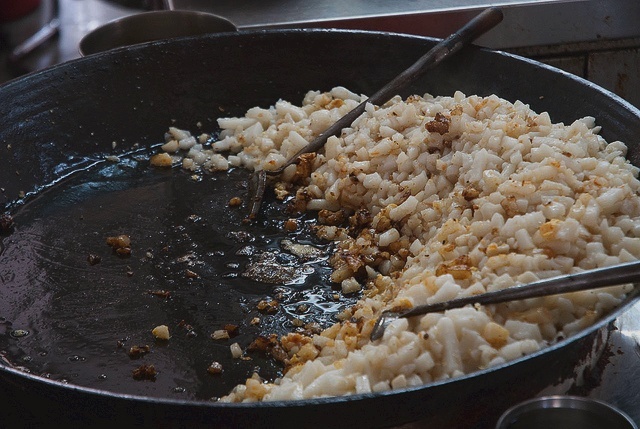 Fried Carrot Cake is a popular hawker food in Singapore eaten for breakfast or sometimes dinner. Although there are many versions available, this one omitted ajinomoto. Steam or simmer grated radish over low heat plus 50ml water in a thick stainless steel pot (or non-stick pot). About 15-20 mins, or until radish turns translucent. Remove cover and allow to cool. Set aside. Whisk rice flour, salt and water together until smooth. Mix well to combine. Add rice flour solution to cooled grated radish. Stir and mix before pouring into a metal cake tin for steaming. The final mixture should resemble like a watery coleslaw. Steam radish flour cake on high heat for about 30-40 mins. Remove from steamer and cool the radish cake overnight in the refrigerator so that the radish cake firms up. This way it will be easier to handle, as it will not stick to the knife when you’re cutting. How to cook "Fried Carrot Cake".